A Market-Frankford subway train travels west to 46th Street Station. In an effort to accelerate the implementation of the SEPTA Key Card, the transit agency will do away with its monthly, weekly and daily transit passes, instead offering the same deal on the Key. 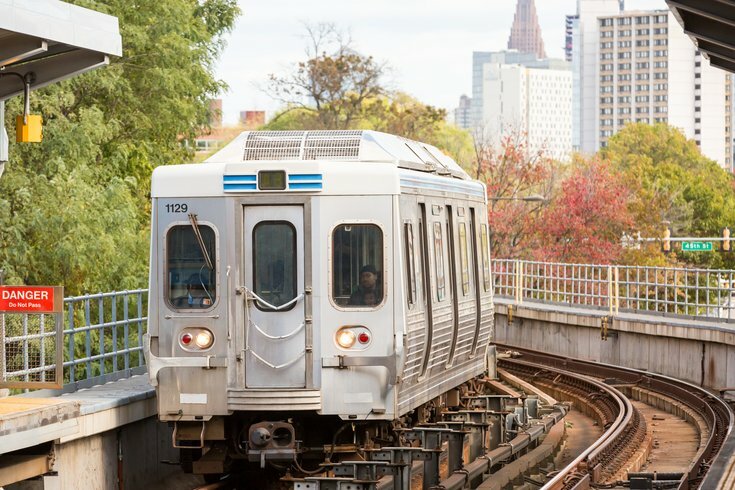 SEPTA said in a Wednesday news release the magnetic-stripe Weekly/Monthly TransPasses and One Day Convenience Passes will no longer be sold starting June 1. Passengers will be able to buy pre-loaded passes on their SEPTA Key Cards, which can be bought at most Broad Street and Market-Frankford subway stops, major bus loops and all sales offices. The monthly and weekly passes give riders unlimited rides on all subway, bus, trolley and Norristown High Speed Line trips. The daily pass gives passengers eight rides on those lines. SEPTA said the move would make commuters' lives easier, as they can reload their Key Cards online or over the phone, as opposed to waiting in line at a fare kiosk. TrailPasses, used on Regional Rail lines, and tokens will still be sold past June 1. A phaseout date for tokens hasn't yet been determined. The agency also said Weekly/Monthly TransPasses will still be sold at outlying Regional Rail sales locations and throughout SEPTA's external sales network.